The Z Plane Wellness website was a very fun one page starter site that I did for Lina. She needed to start funneling people into her email list, so that she can start growing her reach that way. We worked together to pick out the perfect layout for her business, and made sure to integrate her email marketing sign up form. The seamless background adds an element of consistency throughout, along with her forest green, natural & home-vibe palette. 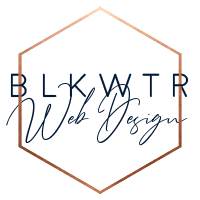 We also worked together on a text based logo for her business as a solid starting point for her brand. It has many buildable aspects, so if she chooses to incorporate an icon later on, it will be easy to do so! I’m looking forward to building this out into a full blown website in the very near future, but we are both very excited with the results from this launch project! “I was skeptical at first, because I had yet to see anyone working specifically with wellness entrepreneurs on their websites. Everyone I knew created their own. I just did not have the time and mental stamina to do it at this time, and I knew that would be my bottleneck to moving forward on my intent to have a web presence.